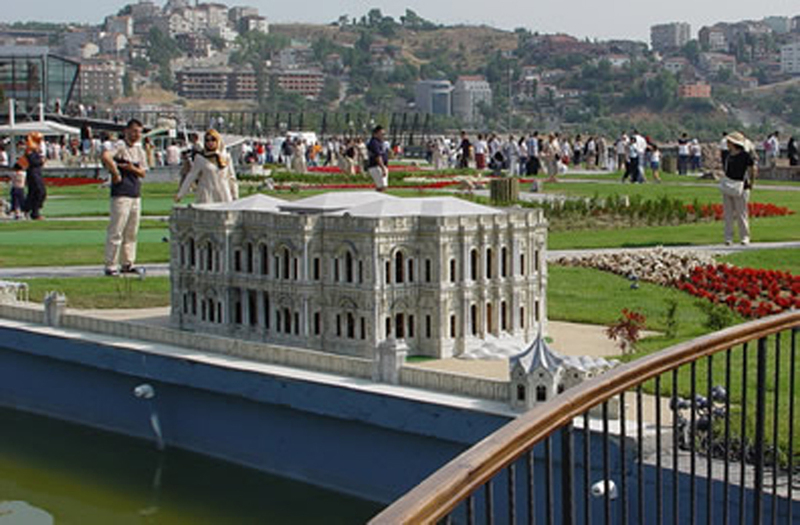 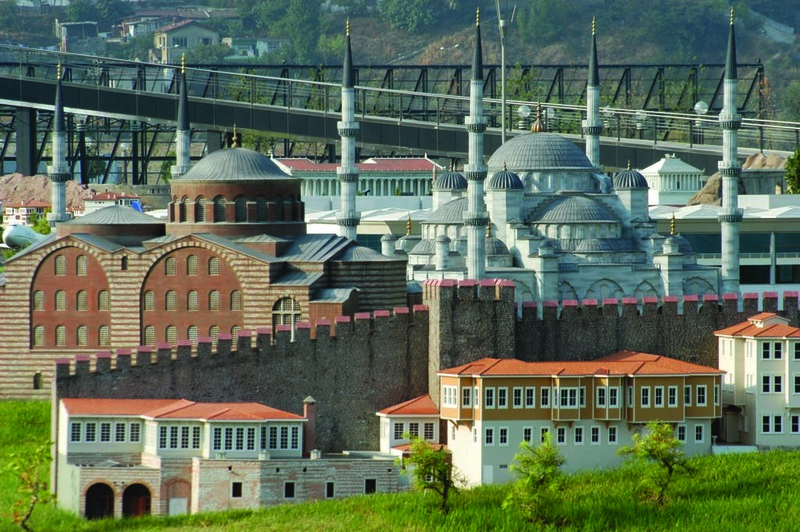 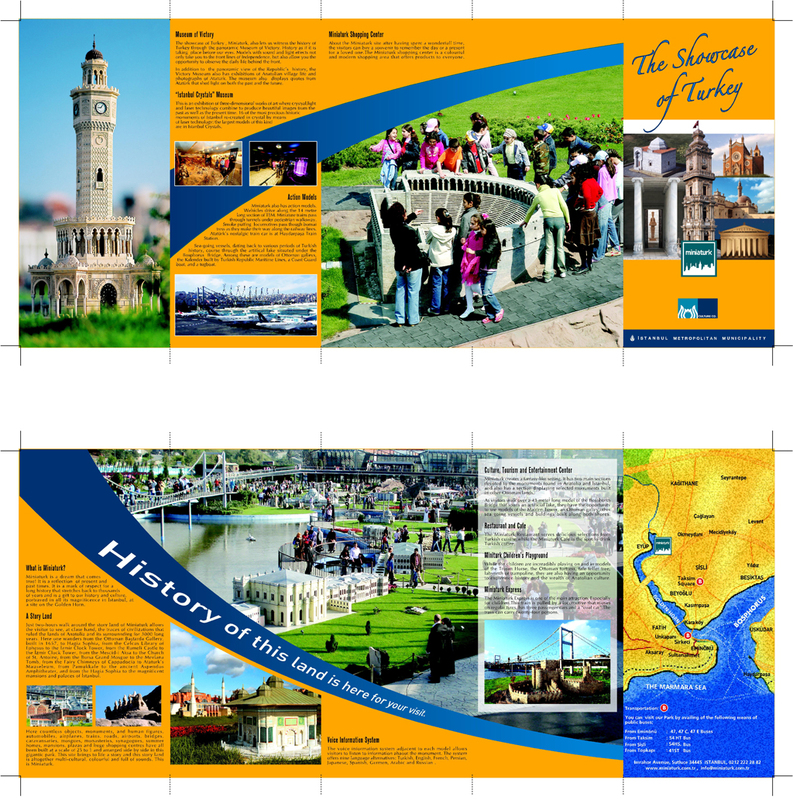 Located on the shores of the Golden Horn, Miniatürk - or the Miniature Turkey Park - is a 60,000 square meter complex opened in 2003. 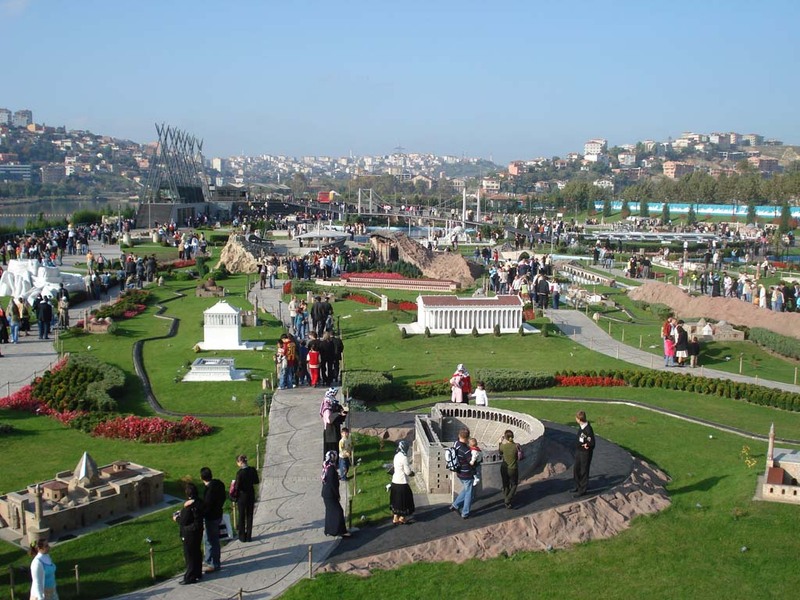 Located on the shores of the Golden Horn, the Miniature Turkey Park (Turkish: Miniatürk) is a 60,000 square meter complex opened in 2003. 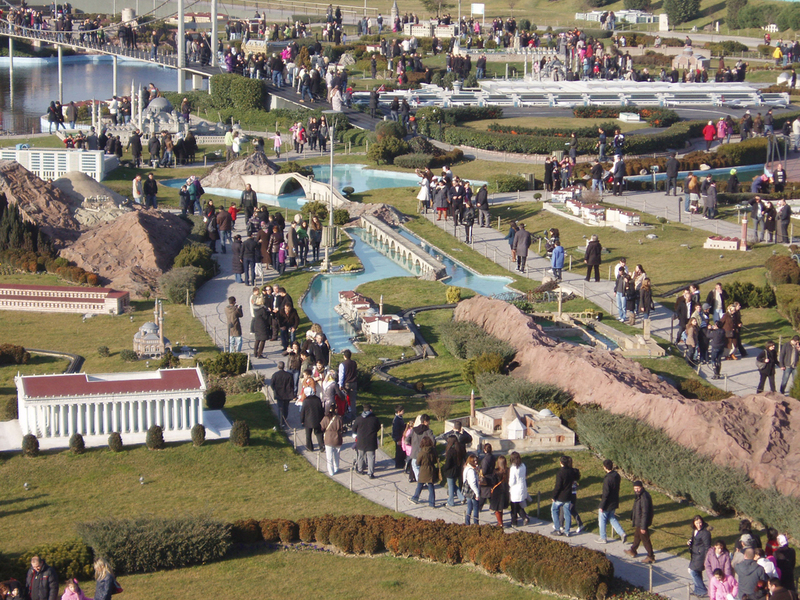 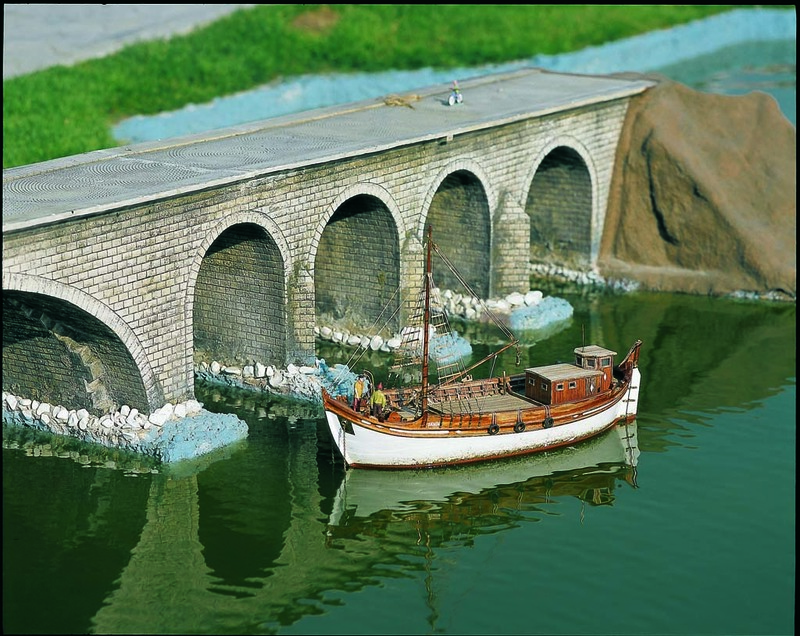 With 1/25 scale reproductions of 122 important historical sites and landmarks the Miniatürk provides its visitors a small tour of Turkey. 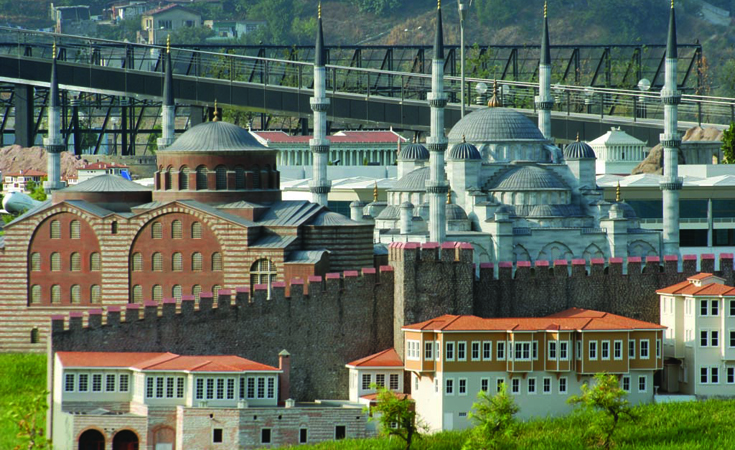 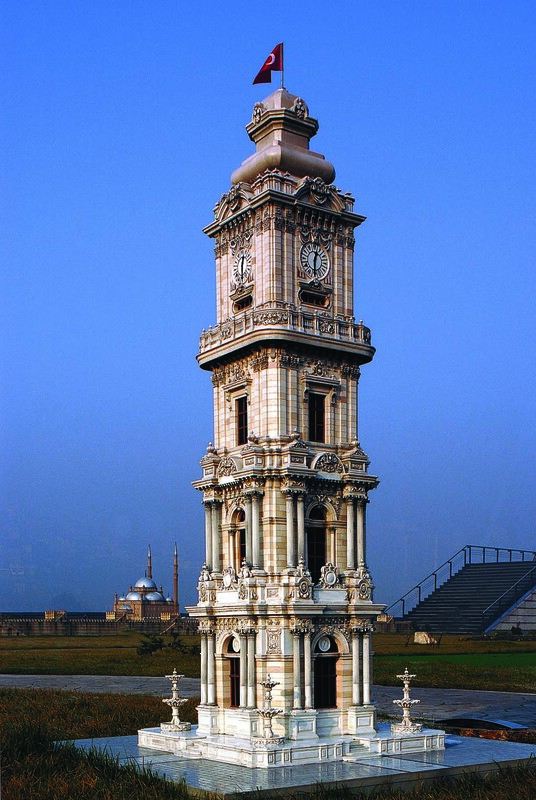 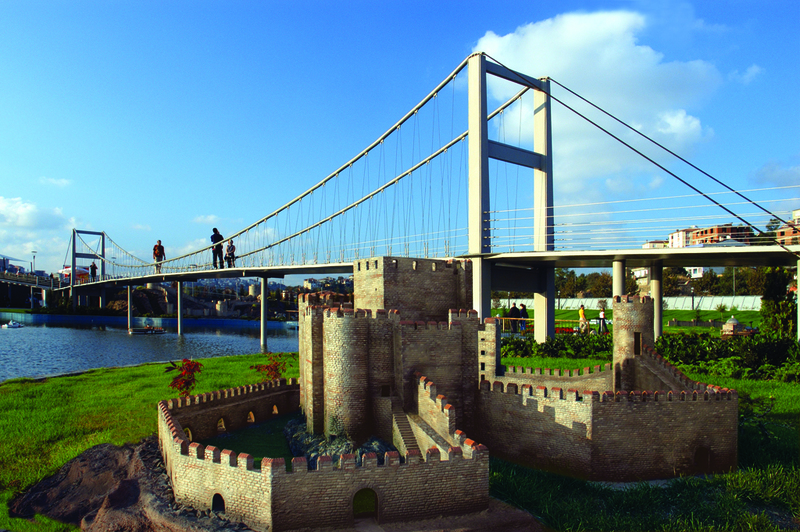 Inside Miniatürk there is also a Crystal Museum, in which one can find 3D crystal models of the important buildings in Istanbul; and the Victory Museum, which brings to life the Turkish War of Independence through technological displays. 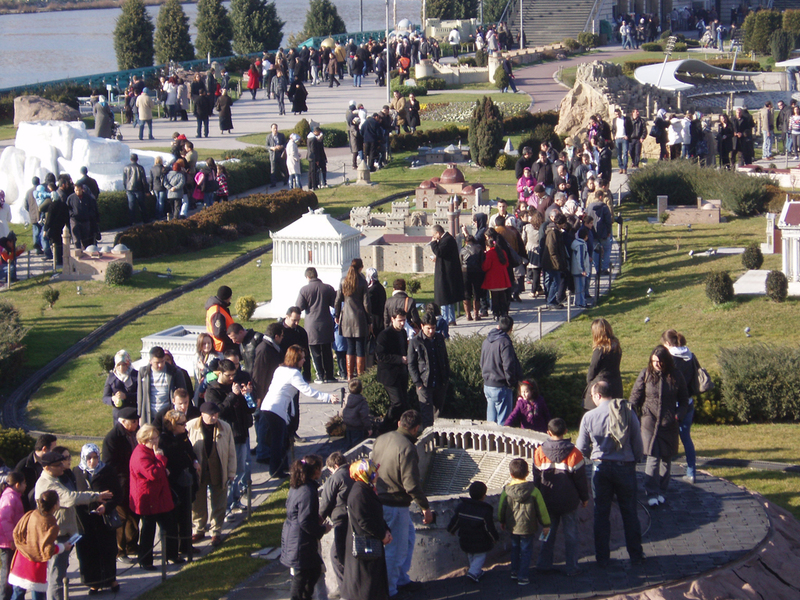 Taksim: Get on the 54 HT Hasköy – Taksim bus and get off at the Miniatürk stop. 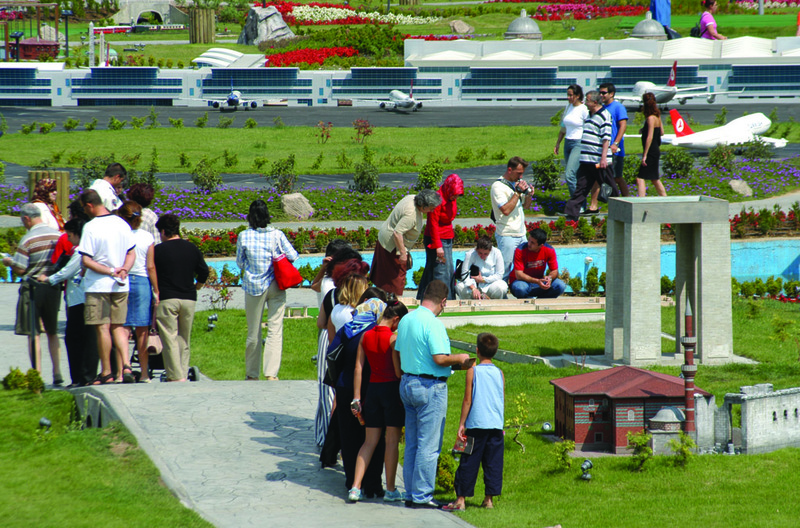 Atatürk Airport: Get on the Aksaray – Havaalanı metro line for Aksaray. 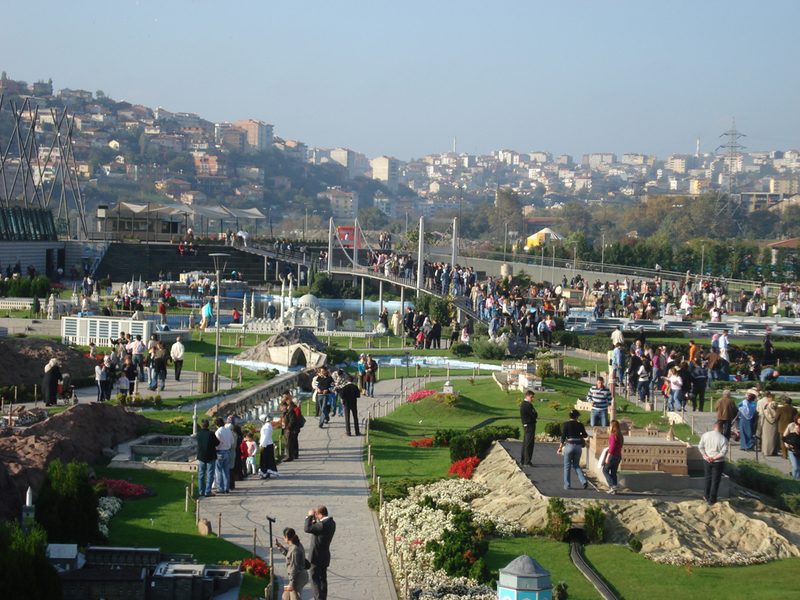 Then transfer to the T1 Zeytinburnu – Kabataş tramline and get off at the Eminönü stop. 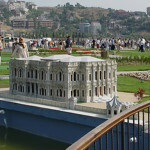 Then take the bus 47, 47Ç, or 47E and get off at the Miniatürk bus stop. 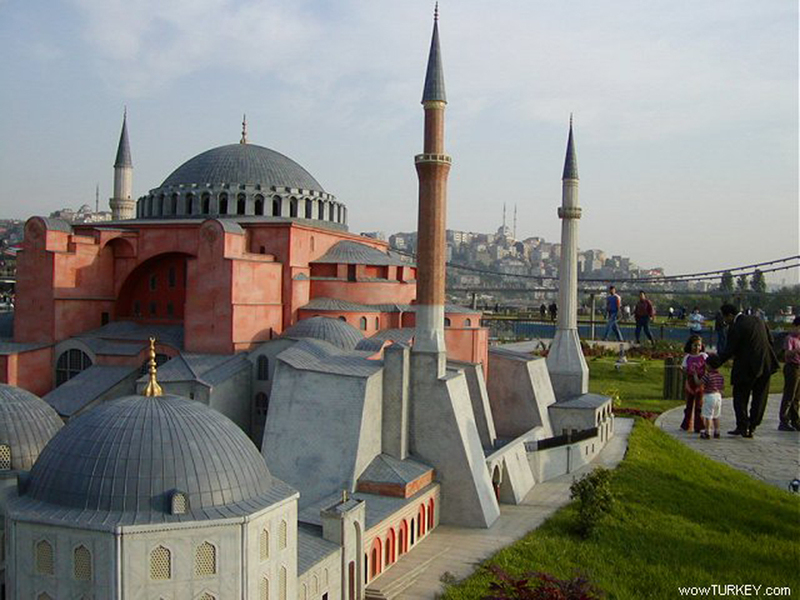 Blue Mosque Area: Get on the T1 Zeytinburnu – Kabataş tramline and get off at the Eminönü stop. 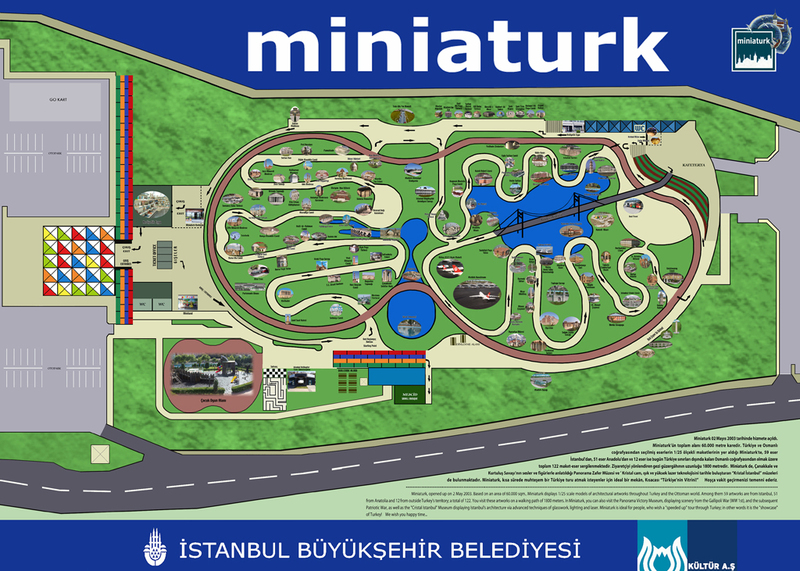 Then take the bus 47, 47Ç, or 47E and get off at the Miniatürk bus stop.